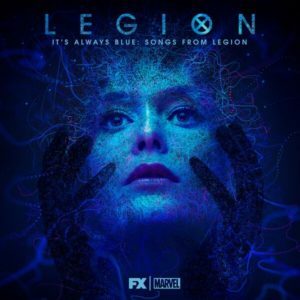 Lakeshore Records released It’s Always Blue: Songs From Legion digitally on August 17, presenting cover versions of classic songs featured in the critically-acclaimed drama series performed by EMMY Award-winning composer Jeff Russo (Fargo, Star Trek: Discovery) and Peabody Award-winning series Creator/Executive Producer Noah Hawley. Noah literally named one of his characters Syd Barrett and cited Dark Side of the Moon as one of the creative influences for the show. Hence, the show is full of cover versions of rock songs he wanted to showcase for thematic reasons. Reimagined tracks, such as “Behind Blue Eyes” and “Don’t Come Around Here No More” showcase Hawley on lead vocals and Russo on harmony vocals in addition to playing all other instruments, including the Moog Synthesizer IIIc. Legion is set to return to FX for a third season in 2019. Following Lizzie‘s release, Blast Magazine spoke with Russo about his journey from being a member of the Grammy-nominated rock band TONIC to an Emmy award-winning film and television composer. Starting the score this week on a new show called “Hostages” staring Toni Collette, Dylan McDermott, and Tate Donovan. Check it out Monday’s this fall at 10pm on CBS. Going to be starting work on season 3 of Necessary Roughness next week. Working on season 2 of Necessary Roughess. It airs at 10pm on USA network. Check it out!